Will ferocious outlaw Declan Harp be victorious during the third season of the Frontier TV show on Netflix? Usually, the Nielsen ratings play a big role in determining whether TV shows are cancelled or renewed. Netflix and other streaming platforms, however, collect their own data. If you’ve been watching this TV series, we’d love to know how you feel about the season three episodes of Frontier. We invite you to rate them below. 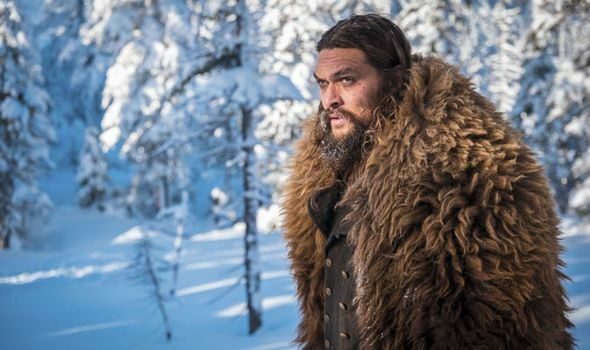 A Netflix historical action drama, Frontier stars Jason Momoa, Alun Armstrong, Landon Liboiron, Zoe Boyle, Jessica Matten, Evan Jonigkeit, Allan Hawco, Lyla Porter-Follows, Greg Bryk, Diana Bentley, and Breanne Hill. A Canadian action-adventure drama from creators Rob Blackie and Peter Blackie, the 18th century period piece unfolds in the violent, corrupt world of the North American fur trade. A part-Cree, part-Irish outlaw, Declan Harp (Momoa) is determined to break the monopoly that the Hudson’s Bay Company has on the industry. He has a dark past with HBC’s Lord Benton (Armstrong), who is out to crush the competition. In season three, Harp takes his fight against the HBC across the Atlantic. What do you think? Which season three episodes of the Frontier TV series do you rate as wonderful, terrible, or somewhere between? Are you hoping that Frontier will be renewed for a fourth season? Don’t forget to vote, and share your thoughts, below. I love this show! Please bring it back! Absolutely love this show. Very much into historical drama and this is right my alley. Please don’t leave us hanging in regards to Declan and Grace, Declan’s son, Michael and Sokanon, Clenna and Mr. GRANT. . . . Too many loose ends to just end the show. I want to see more!!!!! I think there are not enough episodes in this show. There should be at least 10! I love historical drama. I just wish they wouldn’t use modern terminology in their script. It sneaks in every now and then. It dates the show, but for the most part I would like to see more! Each season just gets better and better..this is a captivating series.